Kindred Being offers these live tools for observation of our planet, and the energy waves that affect us. Observe our planet and the visitors in our skies live from the ISS Satellite by clicking this button. 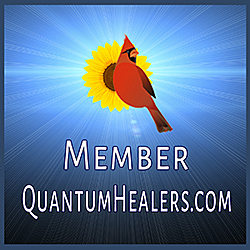 Track the energy waves affecting our ascension live by observing the Schumann resonance. Click this button and refresh the page to see the energies live. Watch daily movies of our Sun. Many of us are directly affected by the energies coming from our Sun. Are you? Watch by clicking this button and enter the date. Our favorite Sun images to observe are the 0193 (fifth from the bottom). Curious about our current planetary alignments? Click this button and click +1 year or -1 year to watch the progress. Listen live as meteors and “other” objects enter our atmosphere by clicking this button. See what phase our moon is in now. Click the button below to see our moon. Use these interactive and layered body maps as visualizations for healing meditations and check in to see if our bodies have gone through any more changes due to the Mandela Effect or timeline and dimensional shifts. If you have any suggestions of other observations you’d like to see on the Kindred Being website click Contact Us below.